Why did they recast Buttercup in The Hunger Games: Catching Fire? | What can I learn today? Why did they recast Buttercup in The Hunger Games: Catching Fire? In the true form of a movie junkie, I headed to the cinema at midnight on release day to see The Hunger Games: Catching Fire. I’ve been waiting for it to open since the day I finished reading the book, and nothing like commonsense or the need to get a good night’s sleep was going to get in my way. Anyway, I’m not going to talk about it too much, because I know the pain spoilers can cause. But one plot point that did catch my eye, and I think is OK to mention, is Buttercup. As fans know, the Everdeen’s cat is very obviously described as yellow in Suzanne Collins’ involving trilogy, but in the first film he had become black and white for some reason. This time around though, authenticity prevails. 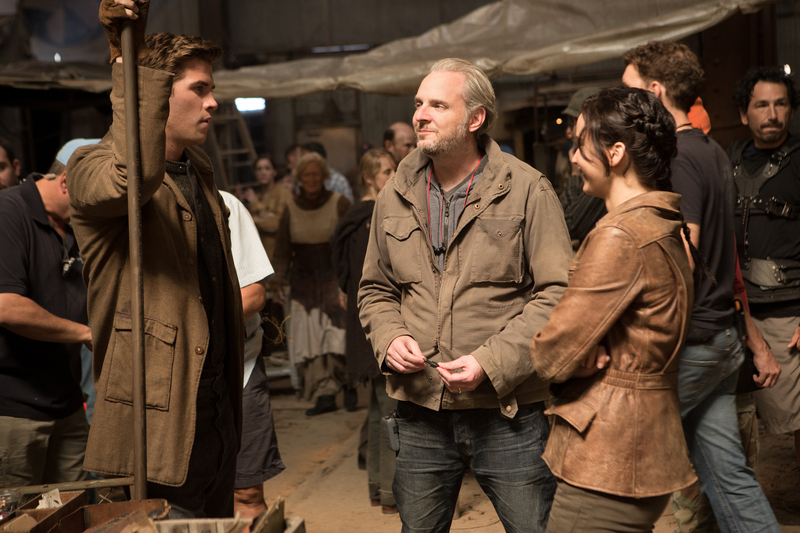 So I decided to find out what prompted new director Francis Lawrence – who took over from Gary Ross and is pictured above with stars Liam Hemsworth and Jennifer Lawrence – to make the change. The first big change I noticed from The Hunger Games to Catching Fire was you recast the cat. Why did you recast the cat? You know what that was actually, and I was happy to do it, that was a request from Nina the producer and Suzanne the author. That they thought the cat from the first movie was not the way he was described in the book. And that had annoyed a bunch of fans, and things like that. But it also just kind of bothered them that Buttercup was not a black and white cat. So I was happy to get one that felt like the Buttercup of the book. It’s funny because now people are split. Some people think we should have continued on with what happened in the first movie. And some people are really happy. You never win. Personally I think the right move. I can totally understand why changes have to be made to make a book filmable, but a cat colour doesn’t seem to much of an ask to get right. ← Did Napoleon Bonaparte invent street numbering?